Join the discussion on our forums! Come discuss Mass Resurrection over in our dedicated Mass Resurrection discussion topic. Been playing alot of the Day of the Dead recipe.This card is insane. Feels broken. I can see a mana nerf. Catrina too. 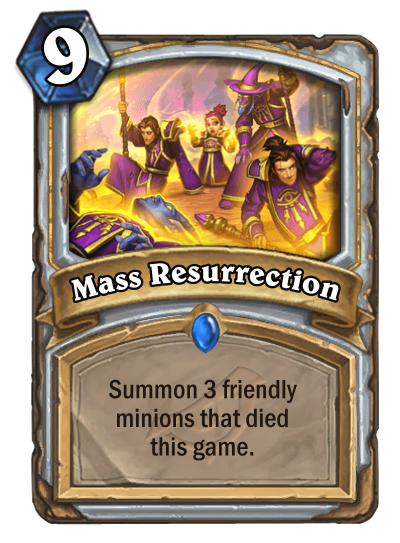 Priest probably got the strongest set of cards out of all the classes. Mad Summoner turn this card into dust. "Boy I sure am glad all those Resurrect cards are going to Wil-"